Breakthrough Real Estate News, Keeping Current Matters! Today's tidbit continues yesterdays thought, the importance of having your "why" and how it will change your life. I shared the "why" that got me into Real Estate, which then allowed me to find and follow my passions. Now, 10 plus years later, my "why" has changed, which also allowed my passions to grow and create. This is why Breakthrough is in existence today! Amazing! What is your "why"? Has it changed over the years? Please share your stories and "why" is the comments. I cant wait to read them. Please share these videos if they are making in impact. I appreciate everyone of you and every single view so much. Thanks! Todays tidbit is finding your why. It's important to find your why. It's also important to know that over time your why may change. Your why may be your career or it may be what your career allows you to do. Todays message changed my life. Check it out. Please, like, and if these tidbits are making any impact, please share and subscribe. Thank you so much. Breakthrough Real Estates New Training Program is Creating Millionaires!! Have you heard about Breakthrough's new Agent Training Program? It is AWESOME!!! It is geared to agents of any experience to take advantage of. It's crazy detailed and not easy, but for those who can tough it out and "Graduate" you will have the career of your dreams and accomplish all your goals whether it's becoming a Millionaire, providing for your family, retirement, vacations or launching your business to the largest and fullest it can be, this is your tool. Breakthrough Agents go through the tough training and hard work to perfect our craft, provide the maximum level of service to our clients and lay the proper foundation for a long lasting successful career in Real Estate. If you would like to take part, please call 602-938-5415. Cost of Home Ownership May Increase 15%??!!! Is Now the Time To Buy/Sell? The AZ Real Estate Market is HOT!! 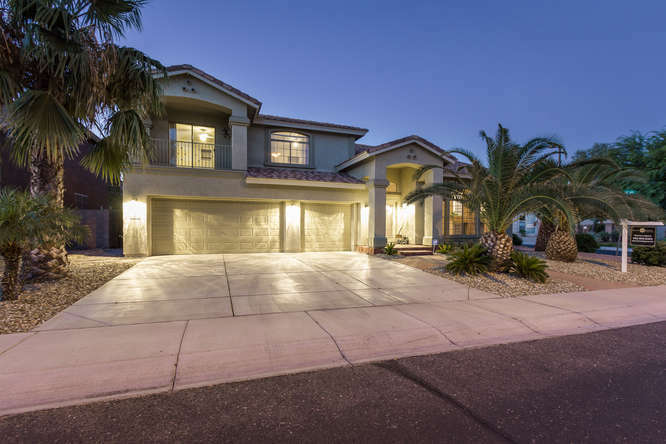 Especially the Phoenix Area where we have not even 2 months supply of homes for sale, great average sales prices, and lots of qualified buyers just looking for the right home. For many sellers, this also poses a tough question," How do you time the market?" Easy answer: You Cant. It is impossible to time the market BUT think of this. You don't want to sell at the peak. Where will you go without also paying peak prices? You want to sell with room to still improve (at a better appreciation base line at that). 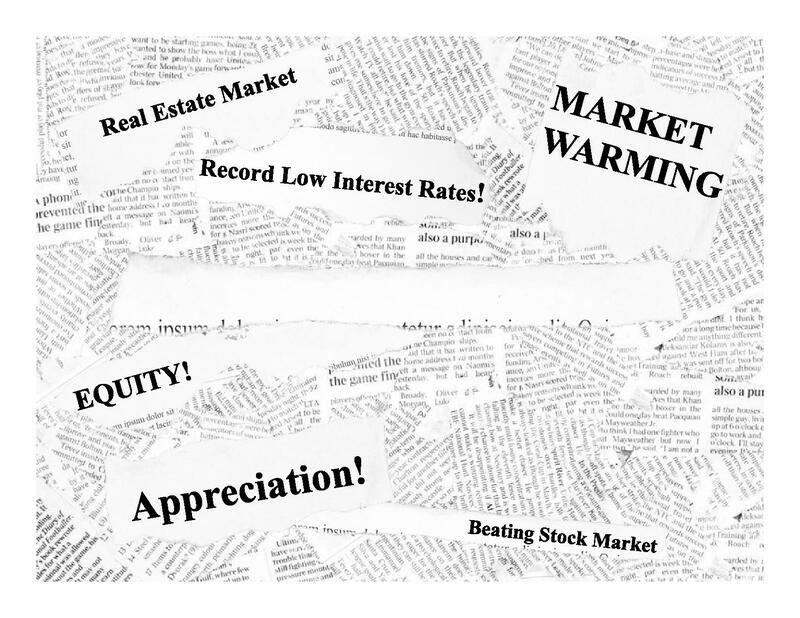 With rising interest rates, the hot market and supply, NOW May be the best time ever. Let's dive deeper into this. What impact does the price you pay for the home have compared to the loan you get for said home? HUGE IMPACT. The price difference between paying $350,000 and $355,000 for a home is easy to gauge, $5000. Is it worth paying $5000 more "than list price" right now? In a rising market, of 4% average appreciation per year, that home is going to rise in value by $14,200. By paying $5000 you are bringing a net profit of $9,200 by acting today. So is it worth paying the slightly higher price? Absolutely. You are actually making money and our market was at around 7% last year. So far this year it is looking even better. Now lets look at the loan you get. Interest rates are on the rise, we hear this, but what does it mean? Let's look at an example of the difference in an interest rate of 4.5% and 5% on a $355,000 home. The monthly payment at 4.5% is $1798.73, rounded to $1799. At 5% the monthly payment is $1905.72, rounded to $1906. That is $107 more per month for the same home at the same purchase price. Let's look even further since the average mortgage is 30 years. The total cost of the home at 4.5% at the end of 30 years would be $647,642. At 5%, paying it off after 30 years would cost $686,059. That's a $38,417 difference! Does .5% make a difference, YES! The monthly payment also impacts how much home you can afford. The higher the interest rate, the higher your monthly payment for the same home. By reverse engineering the payment to purchase price, lets look at how much home you can purchase using the same $1800 payment. At 5% that $1800 per month will now only allow you to purchase a $335,000 home. $20,000 less home, for the same monthly payment! The flip side of this is you are able to purchase a little "more home" for the same monthly payment if you ACT NOW. Buy jumping early you can buy the home with the upgrades you really like, for the "same monthly payment". Meaning you will love the home that much more AND it will bring you that much more actually dollar amount in appreciation each year with the same percent. Compound the market, savings, interest, appreciation, happiness, tax benefits, and it all adds up... NOW IS THE TIME! Call me today, I would be very happy to discuss these topics, further. Enjoy the Article Below!! As such, home buyers could see a larger portion of their incomes devoted to mortgage payments. Royal Village Apartments, Remodel is ALMOST COMPLETE! Royal Village Apartments in Glendale, AZ is BEAUTIFUL! The remodel is almost complete, just a few more large projects to go. Check out the latest video update, and then if you are looking for a new apartment, inquire after the video. 623-939-8615. Conveniently located off 59th AVE between Olive and Northern. REALTORS, what is YOUR cause? What can your clients stand behind? Realtors, What is your cause? What is it that you believe or stand for that your clients can stand behind you for? What is motivating or driving force that can do a huge amount of good AND provide your business with clients and goal setting help from more people than you can imagine? Can you imagine getting the entire community behind you giving you business because they knew that by doing so, you would do the most good? Realtors have an amazing rare opportunity to help people on a massive level, which then allows us to help others on an equally massive scale, if we plan and handle our business the way we should. Let's do this. Make 2018 the Year of Realtor Impact. Check out this video and let me know what your cause is? What are you going to do that will a) benefit the community or somebody else and by doing so, will then b) benefit you? Have you heard about Breakthrough Real Estate & Property Management's Management Services? Have you heard about Breakthrough Real Estate & Property Management's Property Management Services? Chances are no you haven't. Rest assured, it's not too late and it has been worth the wait. BREPM offers a full service management experience at a huge value. Snowbirds, if you have a vacation home, BREPM will be your eyes and ears while you are away. We offer twice a month walk-through's where our agents will check all your landscaping, pool, any other services you may have, and we will walk through the property running all your faucets keeping your pipes good and clean (keeping the critters out), checking for leaks, cracks, bugs, any other potential problems. This is such a great service, your property is a huge investment, and being away for 6-9 months at a stretch is a long time. BREPM will watch and care for your property as if it were our own. Investors, for your rental properties, we pride ourselves on bringing you the highest rents possible, while bringing the best tenants possible to protect and grow your investment portfolio and return. We have taken over many multi unit properties that were under performing for one reason or another and have improved the property, brought in strong tenants, which allowed raising rents which in total drastically improved the property values. For the investors this means more NET profit and HIGHER property value. Many owners and managers are afraid to "rock the boat". This is a great time for Phoenix area real estate, your investments should match the market. Updates to Royal Village Apartments, Look at these new Units!